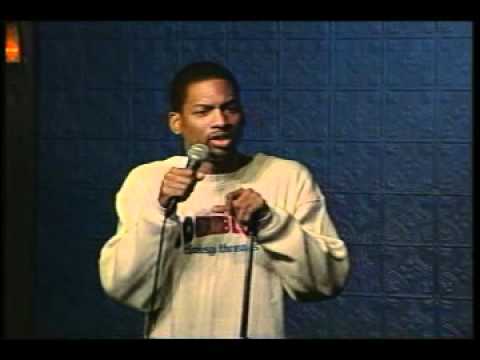 Born in the same Brooklyn New York hospital where most of his seven brothers and one sister found their way into the world, Tony Rock, not to be confused with his favorite wrestler, was born laughing. Being the fourth child of Rose and Julius Rock, Tony had a natural knack for entertaining (just like his brother Chris). He had to stay alive. Decatur Street in the Bedford-Stuyvesant neighborhood where he grew up, was one of the toughest that New York had to offer. It also provided a host of rich characters on which to draw. Tony has been performing for the last two years. After just six months in the business, his first booking on the road led him to Amsterdam. Upon returning to New York, Tony gained a reputation as a young star in the making. The Hollywood Reporter recently picked him as one of the hot young talents to come out of New York. Since then, he's become bi-coastal. When in New York, he's a regular at the world famous Comic Strip, Caroline's and Stand-up New York. When in Los Angeles, he's a regular at the Comedy Store, Improv and Icehouse and he headlines at The Laugh Factory. Recently, he completed his first movie, Meter Maid, for Wesley Snipe's movie company. Besides touring the country, a professional highlight for Tony was headlining with Mark Curry and John Henton at Harlem's world famous Apollo Theater.